The other day I saw some year 6 girls drawing some optical illusions for their personal interest project. I was very impressed by their artwork. So I decided to find some to show you. I have included a video on how to draw an impossible triangle. Drop by the HUB and show me your drawings. 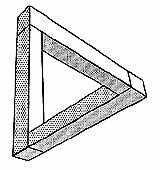 Escher created some amazing optical illusions that seem to go on for ever. Here is how to draw an impossible triangle. We are registered for The Hour of Code. We will be doing the challenge on Monday 8 Dec. Are you ready to learn. There will be something for everyone. If you would like to start learning to code before Dec 8th. You can come to Mrs Ebbs' KodeKlub on Tuesday and Friday at Long and Short Break in the Hub.